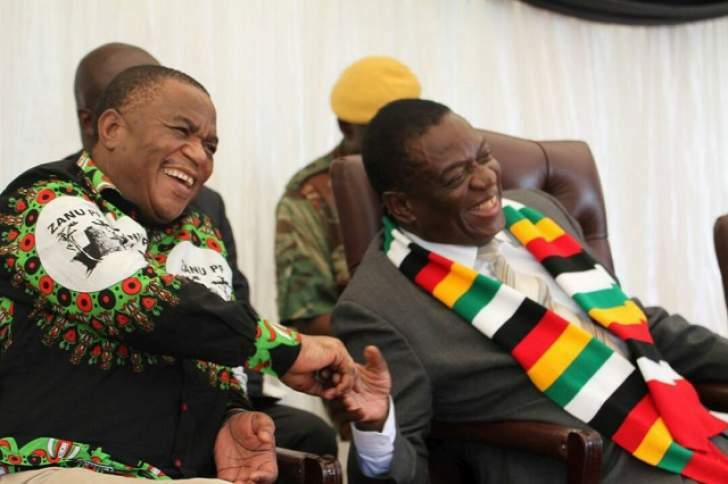 VICE president Constantino Chiwenga has urged Zimbabweans to ignore social media attacks on the government, dismissing the critics as "mad men and juveniles". Although he did not mention him by name, Chiwenga was likely referring to former higher education minister Professor Jonathan Moyo who has repeatedly used Twitter to criticise the new Emmerson Mnangagwa-led government. Moyo is now in exile after surviving an assassination attempt during the military intervention which ousted former president Robert Mugabe last November. Chiwenga was head of the Zimbabwe Defence Forces and led the military revolt which resulted in the resignation of Mugabe and his succession by Mnangagwa. "There are those who spend time on social media criticising and saying things out of bitterness and behaving like mad man and juveniles," said Chiwenga. "If you read their rantings, don't take them seriously. This will never stop us from building the country. Our work will not stop." Chiwenga was addressing hundreds of people at a field day held at President Mnangagwa’s Pricabe Farm in Sherwood Block in Kwekwe last week. Prof Moyo, a loyalist of the deposed Mugabe, has called the new government illegitimate and dismissed Mnangagwa as unelectable. Moyo and other loyalists of Mugabe such as former cabinet ministers Saviour Kasukuwere and Patrick Zhuwao escaped into exile during the military operation.